Wall lamp from the late fifities, early sixties. 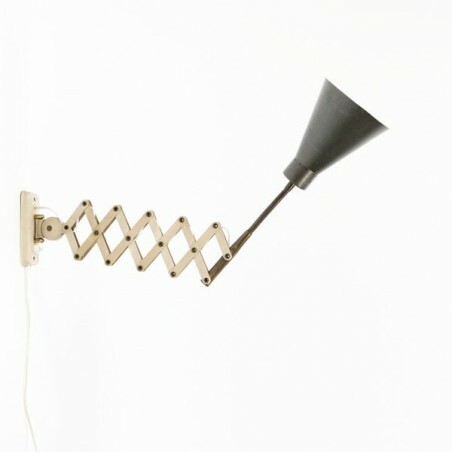 The lamp is also called scissor lamp because of the adjustable arm. The lamp is in good condition considering its age. 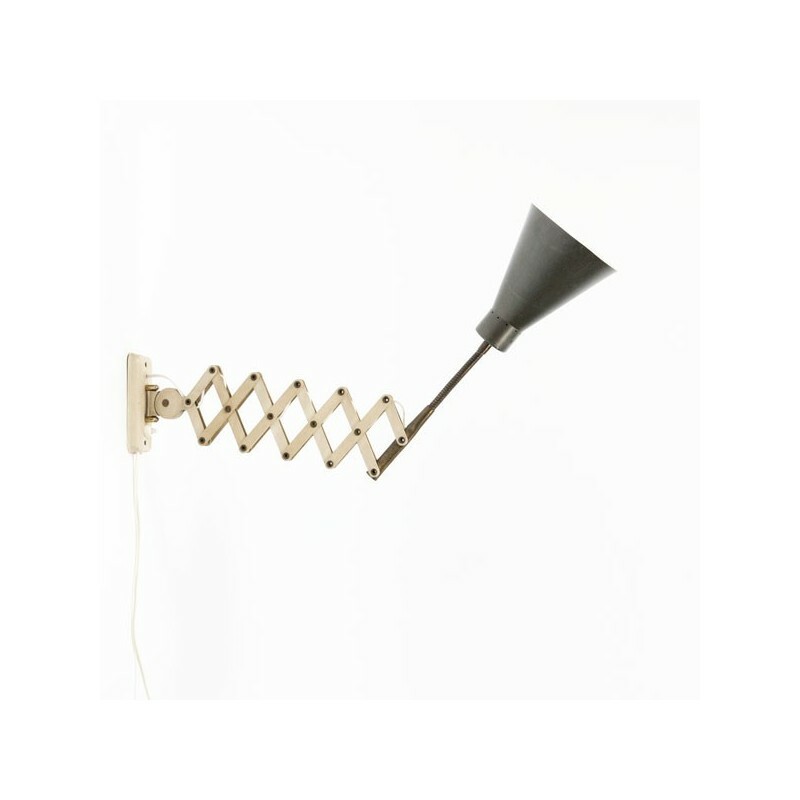 The shade of the lamp is 12.5 cm in diameter, the maximum length is 80 cm.